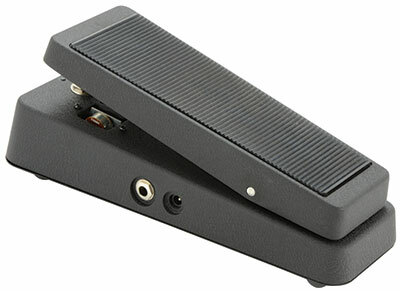 Combined wah and volume pedal for guitar in a traditional metal treadle housing. A vintage-style inductor driven wah-wah circuit which is switchable via “toe-press” action to convert into a volume pedal for bowing and swell effects. All analogue circuitry guarantees authentic yet versatile effects. A distortion pedal for guitar with recessed controls in a die-cast metal case with rubber treadle. A super-versatile distortion pedal capable of serving many varied musical genres. Low and High EQ controls give a more specific voice to the level of gain selected to produce a wide range of distortion tones. A versatile delay effect pedal for guitar to produce echo and doubling effects. Vintage delay effects are possible from rockabilly slap-back to multi-repeat echoes. 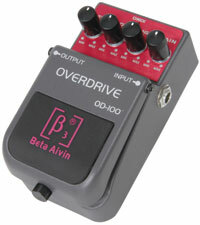 A guitar overdrive effect pedal with gain control and 2-band EQ. Housed in a rugged composite pedal housing with 9V battery compartment under the treadle.